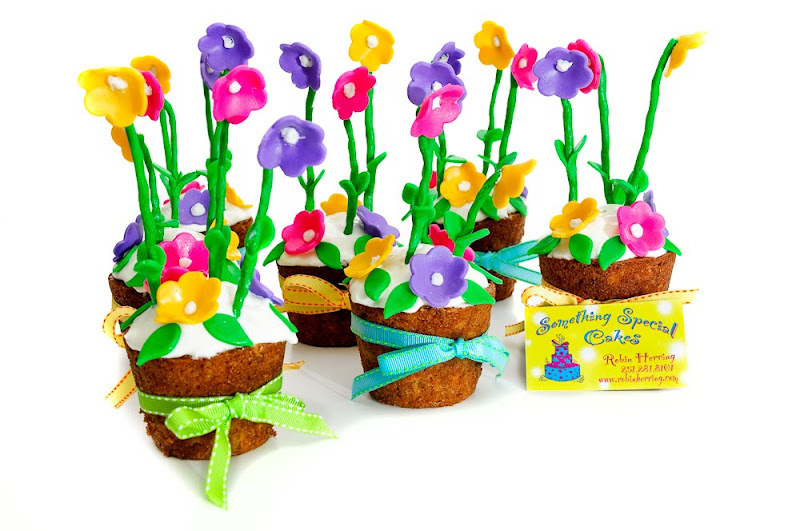 Robin made a whole field of these flowered carrot cupcakes for Conner's teachers. I made her business card and took a picture for her. She let me eat one one for my trouble. It was yummy!